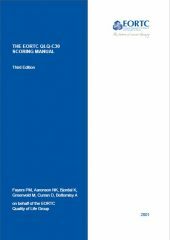 This manual provides critical information that is needed for scoring the EORTC core questionnaire and associated modules. 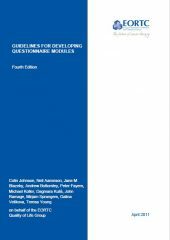 This module covers the process for developing new questionnaires, describing the standard procedure of four phases of development and testing. 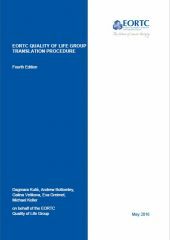 This manual focuses on the EORTC Translation Procedure, describing in detail the translation and cultural adaptation process that is followed for the development of new language versions of EORTC questionnaires. 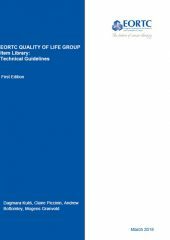 This manual contains information about normative scores and reference scores across various cancer populations. 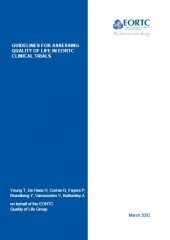 This manual contains EORTC specific procedures to follow by conducting a clinical trial within the EORTC network. 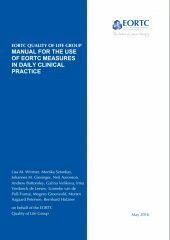 This manual is intended to support health care professionals and other stakeholders in the successful and sustainable implementation of the EORTC PRO measures, providing guidance on issues considered important for their use in daily clinical practice. 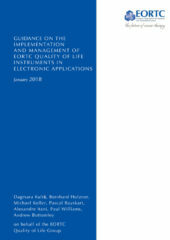 This document outlines the guidelines for migration of the EORTC questionnaires onto electronic platforms, allowing them to be used as ePRO measures in academic and commercial studies. 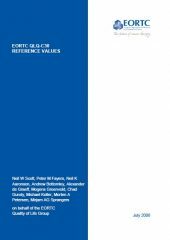 This document shows the features of the Item Library and explains how it works as a database of items and a tool to create custom item lists.